Probably one of the top three tourist destinations in The Netherlands is the quaint village of De Zaanse Schans, located in the province of North Holland (near Amsterdam). This epitome of Dutch quaintness finds itself in the number three spot on my top ten list of places to see. Filled with windmills dating back to the sixteenth century and houses from all around the Zaanstreek or "Zaan region," the village appears to be a place that time forgot and one that the first-time visitor to Holland shouldn't miss. The windmills are still fully-functioning here, and the visitor gets to see what daily life was back a few centuries ago when wood was cut, flour was ground, and paint was made all using the iconic and yet highly practical Dutch windmill. Along with the windmills, one can see how the traditional Dutch cheese is made and even try various samples. Pewter was a valuable and practical commodity hundreds of years ago, and the visitor can see how it was incorporated into Dutch daily life. And because this is The Netherlands, what trip would be complete without watching how the artisans whittle away a lump of wood to make the famous Dutch wooden clogs? 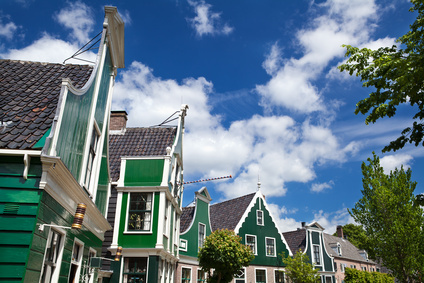 Along with the various attractions at De Zaanse Schans, there are a couple of great restaurants that will make your visit complete. Don't forget to try the famous Dutch pannenkoeken, or pancakes which are actually a cross between pancakes and crepes. As with any tourist attraction, there are gift shops galore to make any souvenir purchases for friends and family back home. 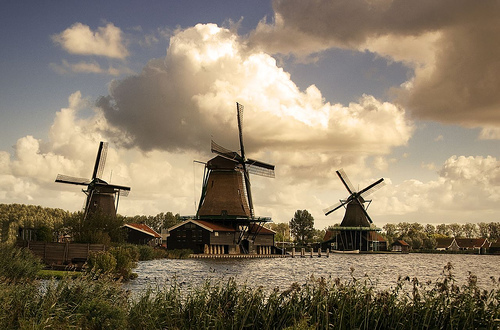 By the time you've spent a day at De Zaanse Schans, you will start to have a real feel for a culture and history of a country with a rich heritage.